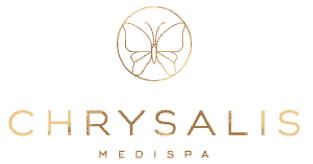 Chrysalis Medispa has three treatment rooms, offering a range of therapies including facials and body treatments, massage, hydrotherapy and infrared sauna sessions for total rejuvenation and relaxation. With an exceptional range of spa treatments and facilities, our highly skilled therapists are committed to providing you with an unrivalled spa experience. Chrysalis Medispa provides the utmost in pampering. Revive your senses at our haven of relaxation. These treatments can be enjoyed on their own or added onto a clinical skin treatment for the full medispa experience. Spa and wellness treatments are perfect for gift vouchers or simply for when you need some time out. Guinot is a luxurious French skincare brand which bases its treatments on plant and marine extracts. Guinot facials are perfect fro those who desire no downtime and instant results. Skins are left feeling deeply cleansed with a renewed texture. All Guinot facials include a European-style face, neck and shoulder massage. Drift away and enjoy a relaxation massage with our experienced therapists. Heat packs and hot towels used throughout, with muscle relief oil if needed. Enjoy a relaxing, sensory experience and a feeling of total well-being in our high-tech environment capsule. Oceana Hydrospa employs steam, vichy shower, coloured light therapy, vibration and aromatherapy to create the ultimate space for you to unwind. A hydrospa session is also the perfect way to warm your body and relax your muscles before a massage. Our health sauna utilises far infrared energy to warm the body’s tissues.